Gary McMahon lives, works and writes in West Yorkshire but possesses a New York state of mind. He shares his life with a wife, a son, and the nagging stories that won’t give him any peace until he writes them. CLICK HERE FOR MORE BOOKS BY GARY MCMAHON. The Concrete Grove — (2011-2012) Publisher: Imagine a place where all your nightmares become real. Think of dark urban streets where crime, debt and violence are not the only things to fear. Picture an estate that is a gateway to somewhere else, a realm where ghosts and monsters stir hungrily in the shadows. Welcome to the Concrete Grove. It knows where you live. Many countries, including the United States, house their poor in such unpleasant places that they are rethinking the way to provide housing assistance for them. Numerous high rise facilities have been demolished, like the infamous Cabrini Green in Chicago or Atlanta’s Bowen Homes, and replaced with mixed-income housing projects. In England, they are called council estates. High rises are even more problematic there, for England has never taken much to the skyscraper, at least as a place to live. 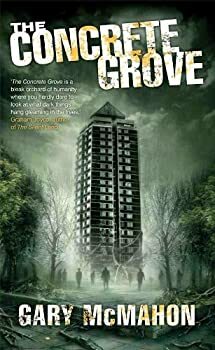 So it’s not surprising that there are places like The Grove, with an abandoned high rise in the center and flats surrounding it in a concentric pattern. Such is the nature of The Grove in Gary McMahon’s The Concrete Grove, because that’s all you see there: no trees, no grass, no flowers, only concrete. 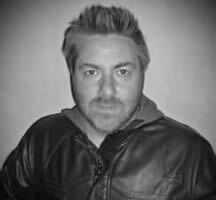 “A well-wrought horror story is a potent thing, lingering in the mind long after the tale has ended,” says Michael Kelly, the editor of Shadows and Tall Trees, in his introductory note to Issue 3. The magazine strives to be one of “quiet, literate horror fiction,” and on the evidence this issue, it succeeds. 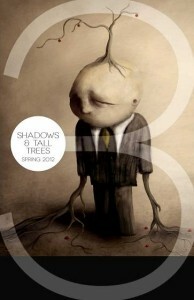 Thomas Usher — (2010-2011) Publisher: THOMAS USHER HAS A MOST TERRIBLE TALENT. Following a car crash in which his wife and daughter are killed, he can see the recently departed, and it’s not usually a pretty sight. When he is called to investigate the violent death of the daughter of a prominent local gangster, Usher’s world is torn apart once more. For the barriers between this world and the next are not as immutable as once he believed. Mashing together the grittiest British police procedural with dark supernatural terror, author Gary McMahon creates a refreshingly new take on horror fiction.